My computer was infected with all kind of virus hence the recent lack of posts. 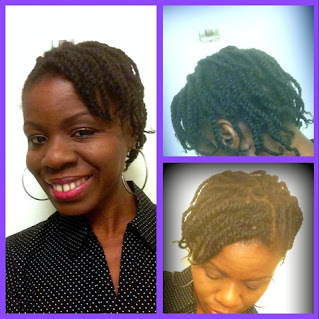 So in my last post I showed the picture of my two strand twists, shown below. I wore them for 10 days and the picture above is the resultant twist out. I have found out that it is unnecessary to separate twist out unless you want a voluminous Afro, as shown on the left side. To be quite honest, further separation only results in more manipulation and breakage. I have found that to be so through experience. So I just untwist and leave the hair as it is. I actually love both looks but the first one is safer for my hair. Believe me, my hair is just that fragile. I also like the fact that the first one lasts much longer. They are just like twists if you do not manipulate them. 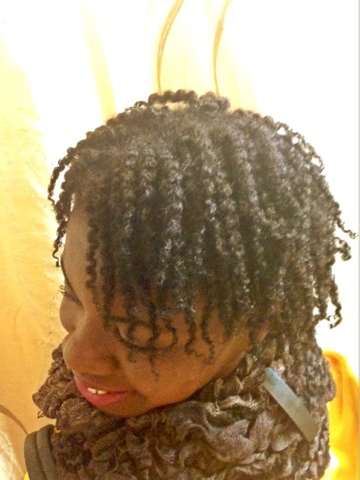 So which one do you prefer and how do you achieve your twist out? 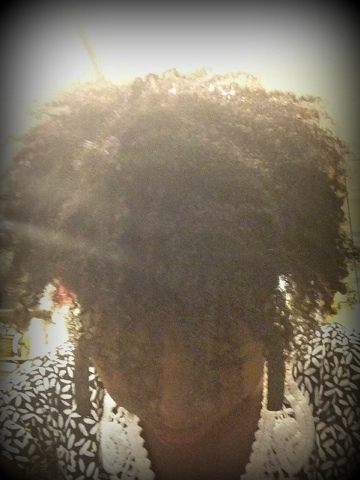 I prefer the undisturbed twist out for small two-strands. The only time I separate them is for detangling when I'm going to wash them. I understand why. Separating them mmakes them look really thin unless you have thick hair. I really like the first pic! I hear you...my hair does the same thing.